Gibson Townes in Hamilton is a great move-up opportunity! There’s a new move-up opportunity coming soon in Hamilton; Hawk Ridge Homes is now collecting registrations for Gibson Townes! 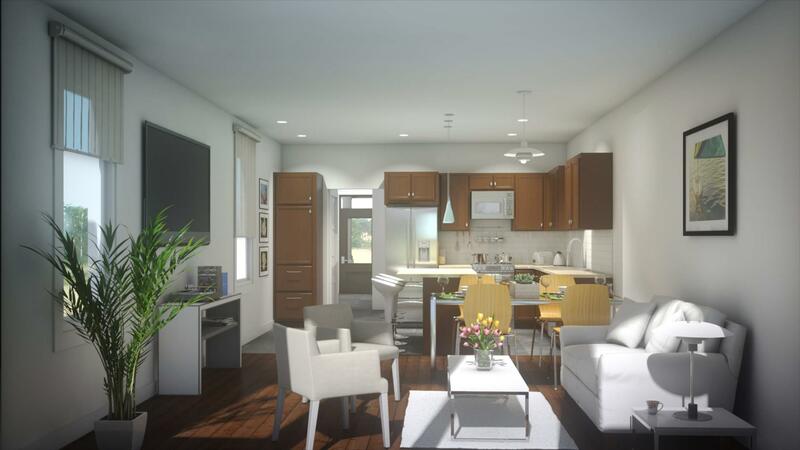 The exclusive collection of freehold townhomes features two- and three-bedroom floor plans, all of which are more than 1,300 square feet. The open-concept layout makes for a bright, airy living space, perfect for dining, cooking, relaxing, and entertaining. The L-kitchen on the main floor provides plenty of counter surface for meal prep, and there’s an abundance of storage in the cabinets. There’s also a pantry in the kitchen. The island is optional, but we’re always for getting the island because it gives guests a place to gather around, and it gives you even more counter space. The second floor is where you’ll discover the bedrooms and the bathrooms. The large master bedroom has an ensuite and a walk-in closet. The other bathroom is right outside the second bedroom; this isn’t technically an ensuite, but whoever is using the second bedroom will likely have this bathroom all to themselves! There is a three-bedroom option which splits the front of the home into two bedrooms, and moves the second bathroom back so it’s sharing a wall with the master ensuite. Keep in mind this three-bedroom layout eliminates the walk-in closet in the master bedroom. The basements at Gibson Townes are unfinished, and this is where the laundry room is located. If you do plan on finishing the basement, there’s a lot of space to make it into an entertainment area, a children’s playroom, an office, a billiards room, or anything else! There’s also a three-piece rough-in for a bathroom. With prices from the $400,000s, Gibson Townes is a great opportunity for couples looking to grow their family. If you own a condo in downtown Toronto right now, Gibson Townes could be your next move! 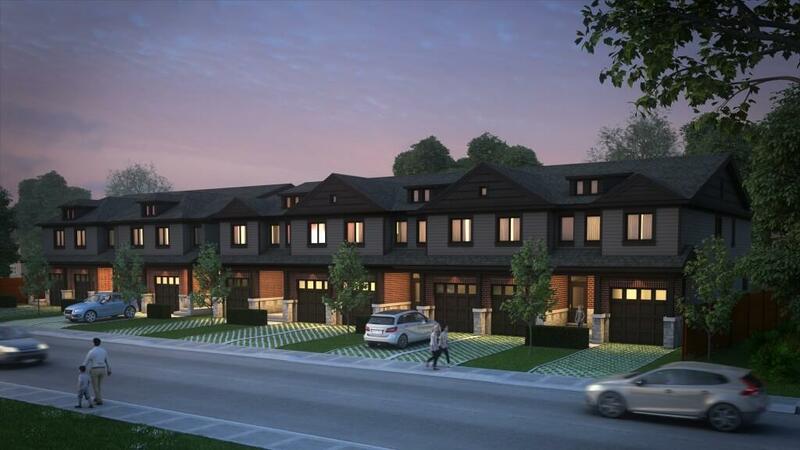 Located in Hamilton, just east of Birch Ave. between Barton St. East and Cannon St. East, Gibson Townes is surrounded by convenient neighbourhood amenities. The Walk Score is 77, making it “Very Walkable” because most of your daily errands can be accomplished on foot. Gibson Townes is just steps from numerous parks, sports fields, restaurants, coffee shops, bars, grocery stores, schools, banks, and shopping. The amenities are peppered all over the neighbourhood, but you’ll discover the longest strips of retail and dining along Barton St. East and along King St. East. To be among the first to receive updates about Gibson Townes by Hawk Ridge Homes, register here!